Crossbreeds are all the rage these days, but what may seem like a new phenomenon has actually been around for some time now. 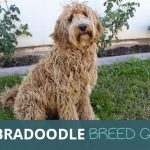 The first crossbreed officially documented was the Labradoodle and that was at least 30 years ago. 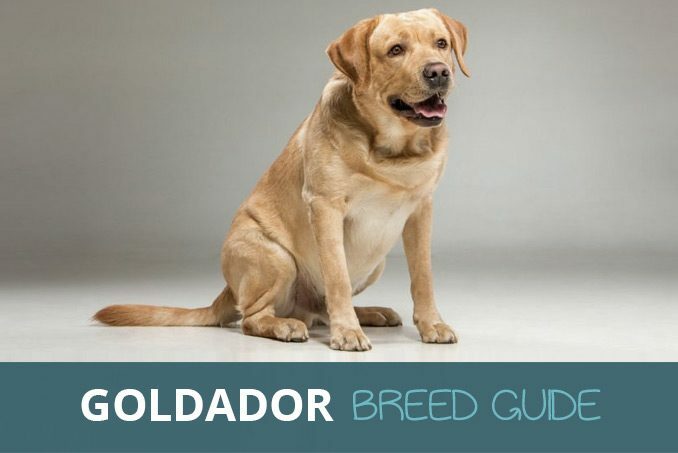 Although there are many other popular hybrid dogs out there, the Goldador makes for a great choice if you are looking for a working dog of some sort. Whether you are looking for a bomb detection dog, search and rescue dog, guide dog or just a therapy dog; this mix of a pure breed Labrador Retriever and Golden Retriever could be just what you are looking for in a dog. 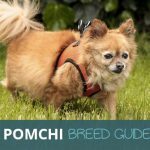 To find out more about this cross breed and whether or not it is right for you, keep reading this definitive guide to this often overlooked dog. Goldadors have actually been around in one form or another for about 10 to 15 years and the goal was to produce a sensitive and very tolerant dog that would be as happy in a more work-orientated environment as they would be in a family home. 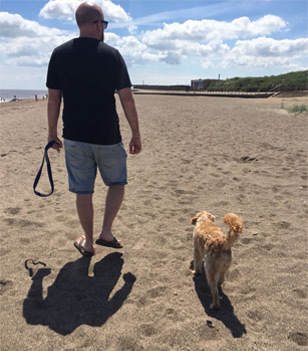 Although they are often overlooked and not quite as popular as many of the other options out there, such as the Labradoodle, Cavapoo or even the Yorkipoo; they have been successfully trained and put to good use in exciting and worthy ways such as bomb detection dogs, therapy dogs and even guide dogs. There is as yet no breed standard because Labradors and Golden Retrievers are very similar in both appearance and temperament. This means that puppies bred from these breeds are likely to share their friendly, loving personalities and stunning good looks. With that in mind, it is possible to take on a Goldador as a family pet, as long as you are willing to put the effort into training and exercising your new pet regularly. 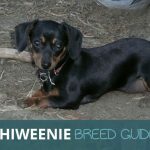 If you do eventually decide that the Goldador is the dog for you and your household, you need to make sure that you seek out a genuine breeder with a sterling reputation. Obviously, you can also try rescue centres and shelters, but you need to be aware that even a friendly dog such as a Goldador can have a chequered past that may mean it requires even more work than the average dog needs. It’s always advisable to find out as much as you can, therefore, about any rescue Goldador you are interested in. Including their history and how many previous owners they may have lived with. If you are still reading, you are obviously very interested in owning a Goldador, which is why you should continue reading to find out more about what it’s like to own one. As noted earlier, the whole reason for crossing a Golden Retriever with a Labrador Retriever was to combine the tolerance of the Lab with the sensitivity of the Golden Retriever. Further to their incredibly genial and loving nature though, their intelligence has proven to be one of the most important personality traits of this hybrid. We also noted previously that there is as yet no breed standard that has been set, so it is hard to say how much of each Parent breed will be in the puppies. However, they normally have a height of between 1 ft 10 inches and 2 ft up to the shoulder and generally weigh between 60 and 80 lbs. Even though it is important to consider each of the above pros and cons carefully, Goldadors are easy to love and happy dogs. We have already mentioned it twice, but it is worth noting that there is no precise breed standard for Goldadors. This isn’t generally a problem though, because unlike other dog breed combinations out there, Golden Retrievers and Labrador Retrievers share many of the same traits and their appearances are even similar. It is always something of a gamble when you cross breed dogs, and when it comes to Goldadors, there may be some variety. However, generally, their coats can either be double coats with close lying and short fur or slightly wavier and longer, depending on whether they are more Golden Retriever or Lab. Although there are very few variations in the type of coat your Goldador might have, it may be long or short and double layered. Regardless though, a Goldador’s coat will need regular brushing, at least every weekly. Brushing will have to be increased to daily during the shedding seasons, autumn and spring. Only bathe your Goldador when it is necessary and as this particular hybrid loves to jump into water and swim, you need to rinse him or her in freshwater. Goldadors have a tendency to develop ear infections easily, so it is important to check and clean their ears every single week. Their teeth need to be brushed around 2 to 3 times every week to ensure tartar is stopped in its tracks and reduce the chance of bacteria building up in your dog’s mouth. You also need to trim their nails one or two times a month. A general way to determine if they are too long or not is if they are clicking on the floor. Your dog’s nails were kept short will ensure their feet are in good condition and you won’t get scratched when they jump at you. Although it is fine to take on most of the grooming yourself, it is a good idea to go to a professional groomer every once in a while. Goldadors, as we have explained throughout this guide, are best suited to life as work dogs of some kind, such as therapy dogs, bomb detection dogs, search and rescue dogs and guide dogs. However, because of the fact they generally inherit the affectionate and kind nature of the parent breeds, they make for excellent family pets. Goldadors thrive on being in a lively and loving environment and enjoy pleasing their owner. They especially love being trained. It is wise to start training and socialisation as soon as you possibly can though. Importantly, when you take on a Goldador, you need to remember that they require a lot of exercises every day. Make sure you can satisfy their need for regular exercise, or consider another dog breed if you can’t. Goldadors do not do well when they are bored and can become very destructive. Thanks to their genial and genuinely adorable and pleasant personalities; Goldadors can be an amazing addition to most family arrangements. You need to make sure you know exactly what you are getting you and anyone else in your household in for by taking on a Goldador. The best way to do this is to speak to people who own this particular breed. As the first port of call, it makes perfect sense to speak to a number of breeders if possible. However, you should not limit yourself to just speaking to breeders – you need to get a full spectrum of opinion. They are intelligent and need regular exercise and mental stimulation; which makes them great to train. You also need to bear in mind that while Goldadors, just like Golden Retrievers and Labradors, look cute and small when they are puppies, they grow to be quite big and bulky. Let’s take a closer look at training. 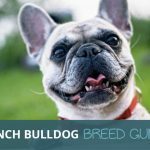 We would say that of the kinds of dogs we have covered in breed guides on this site, Goldadors are one of those that you really have to give special attention to with regards training and exercise. Think very carefully if you or anyone else in your household will have the time, energy and motivation needed to successfully train one of these amazing dogs. There is no shame if you don’t think you will, it just means a Goldador is not for you. Goldadors are happy if you are happy and although it is important to set ground rules and establish your position in the pack; training should always be carried out in a positive way. Praise should be given freely when they achieve something or do something correctly; while mistakes should be lovingly and firmly corrected. Everyone takes a slightly different approach to train a dog, which is fine as long as you are not confusing your animal, being overly soft or too strict. However, there are some definite things you should avoid doing and things that you should always do as part of your training approach. To help you see what those are, we have put together a list of, firstly the don’ts and then also the do’s of successful training. Shouting – It is reasonable to raise your voice on occasion to help your dog understand who’s in charge. However, not only is it frowned upon in the doggy owner world, shouting is ineffective, can scare and upset a dog and may have the complete opposite effect you are going for. Eventually, they may just give up trying to obey you. Physical reactions to things they do – A light tap is one of the best ways to indicate to your dog that they have made a wrong step. However, under no circumstance is it acceptable to raise your fists to your dog or hit him or her in any way. Hitting your dog to correct him is as effective as shouting and could turn him against you. Locking them up for bad behaviour – It really should go without saying but is worth highlighting that you should never lock any breed, including a Goldador, up for bad behaviour. They may not suffer from separation anxiety particularly, but it is seen as cruel. Always keep in mind that a puppy is young and learning. You need patience. Begin training from day one – We can’t stress enough just how important it is to start training a Goldador as soon as possible. When you start when they are young and more malleable, you will find what is already an intelligent breed anyway, absorbs the information and commands quicker. Starting early also means that you will develop a strong and loving bond based on trust between you. Also socialise as soon as you can – Socialisation is essential for any dog, and not least of all the friendly and lively Goldador. Goldadors are happy when they are around other humans, dogs and other animals. But, they will find it easier if you have socialised them from as early an age as possible. Always be firm AND positive – Like Golden Retrievers and Labradors, Goldadors are incredibly intelligent and love to learn. This means they are already built for training and can read your body language and verbal cues that tell them if they have done something right or wrong. While it is important to be dominant and be the boss; you need to also maintain an encouraging and positive attitude at all times, as Goldadors are always looking to make their owner happy. Patience and Persistence – It can be easy to give up on training because it is too hard. However, if you feel as if you may want to give up training after not spending too much time at all on it – a Goldador is not for you. You need to realise that taking on the responsibility of a Goldador involves spending a lot of your time and energy on training your newest family member. Treats are always helpful – One of the tried and tested methods for training any dog is offering treats when they get something right. Goldadors love treats as much as the next dog, so always have a huge supply of treats at the ready when you are training. It is important to see training as part of the whole dog ownership experience. When you put the effort and legwork in while they are young, you are bound to reap the benefits of having a friendly, calm and loving dog when they are much older. 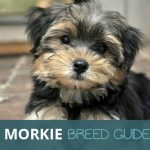 Although cross-breeding has been known to help avoid the passing on of hereditary conditions and diseases that are often commonly associated with the parent breeds, it is never a guarantee that this will be a success. To avoid the chances of getting a Goldador that could easily become sick, you should only get a puppy from a reputable breeder. Ask about your breeder’s experience in the past and how often any of their dogs have developed illnesses or other conditions. Obviously, food and water are incredibly important to the health and well-being of a dog, which is why you should make sure that both are always readily available for your Goldador. Dry complete food is best, making sure that it has all the required nutrients and vitamins. If it is looking likely that you want to have a Goldador in your life, there are two options for you. You can either find a reputable breeder and buy a puppy from them or you can take on a rescue Goldador. By far the most common and popular route people take is by getting a Goldador from a breeder. Don’t just get a dog from the first breeder you find. Take time to research and speak to a number of different breeders. Not only is it important that they have a good reputation and experience in producing healthy and strong litters but you want to know that you can trust them. Their end goal should not be about the money. Seek out one that does not mind you visiting their home to meet them, the breeding animals and to see the kind of environment and home your puppy will be brought into for those first weeks of his or her life. You can expect to pay anything from £450 to £800 for a Goldador, depending on the breeder. Rescuing a dog is a great way to give an abandoned dog a second chance at a happy life. As commendable as it is to take this approach to get a Goldador, it is also one that you should only take if you are absolutely sure about it. Rescue animals often come with hang-ups and can have bad personality traits. Make sure you have access to as much information as possible about the history of a Goldador before you decide to rescue. Although we hope you already knew this – you should never get a dog, Goldador or otherwise, from a pet shop. 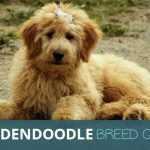 Both Labrador Retrievers and Golden Retrievers are popular parent dogs for using to make cross-breed As such if you are looking at owning a Goldador, you may be interested also in Labradoodles or pure breed Retrievers and Labs. It is very obvious why cross-breeds like Goldadors are so popular. You get a dog that has desirable qualities found in both its parent breeds. Goldadors are very genial, trainable and loving animals. When you give them the love, affection, mental stimulation and physical activity they need, they will be extremely happy. A happy dog is one that is not bored and satisfied with their life. When you have a Goldador like this, you will discover that you have a loyal friend and companion that will stick by your family forever.